All of our USDA choice meats are slow cooked with a combination of apple & hickory woods. Our sides and desserts are made fresh in-house. Whether it's a corporate outing, casual wedding reception, family cookout or tailgating, we're confident that your guests will experience true Southern hospitality. Food served in reheatable/disposable containers. 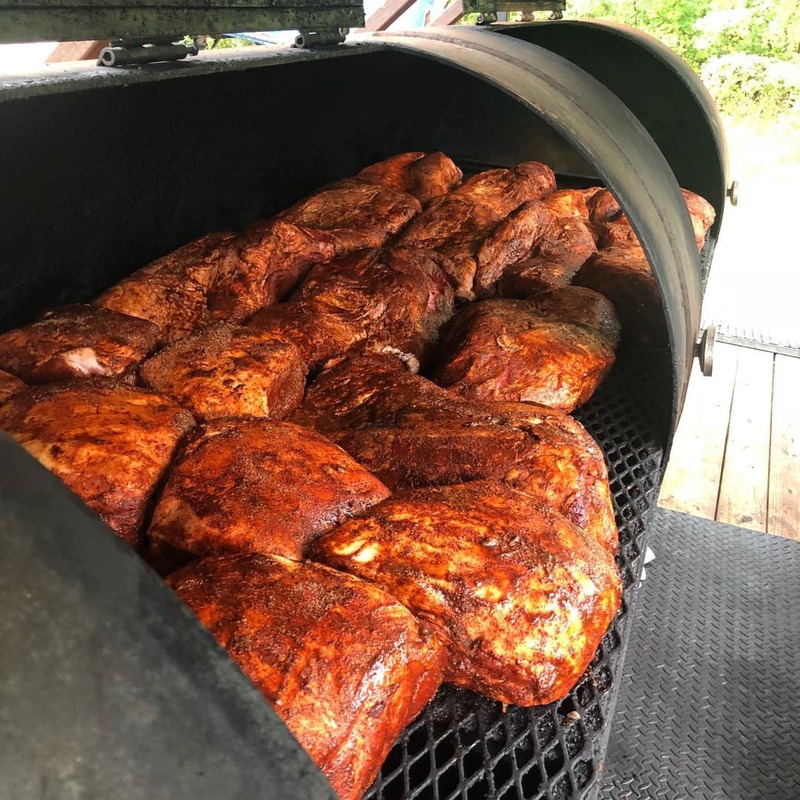 We bring our mobile smoker to your site and prepare everything while your guests can enjoy the aromas of true Southern barbecue. This makes for an exciting and fun experience. With this option, one server maintains and cleans up the buffet. One cook is also included for 4 hours. $400 plus the cost of food. Includes one cook & one server for 4 hours. The clock begins when we leave the restaurant & ends when we return. 15 person min. Buffets come with cornbread and choice of sauce. Served in disposable containers.